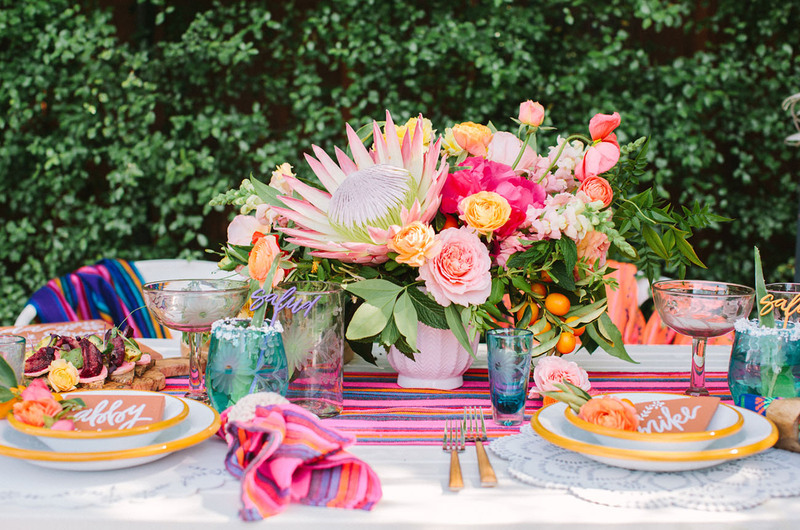 Cinco de Mayo is such a fun + festive holiday and we love the idea of getting together a few of your close friends (or just making a date with your sweetie) and celebrating in style with a colorful, delicious dinner. 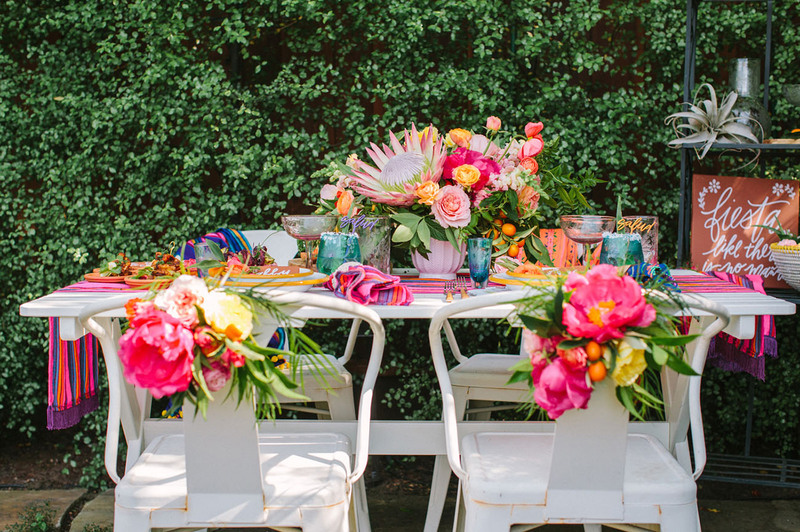 Go a little bit boho, load on the textiles, and don’t forget the florals! 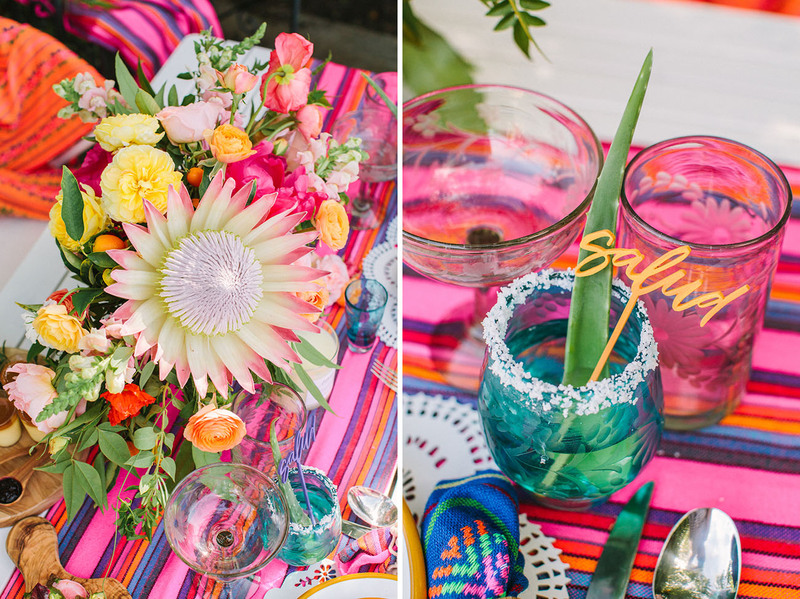 Soon enough, your Cinco de Mayo fiesta will come together in such a pretty way! 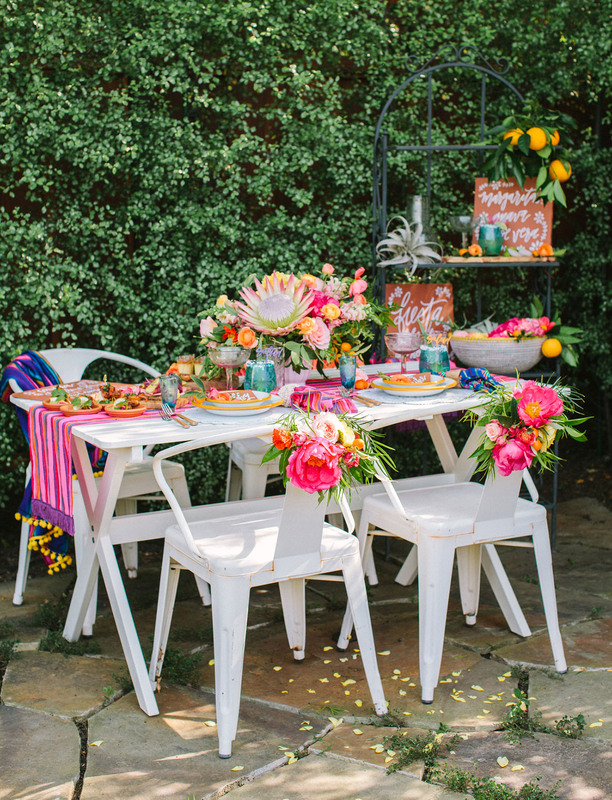 Conceptualized by Beijos Events, today’s editorial takes all of those elements and brings together a really fun look for celebrating in style. 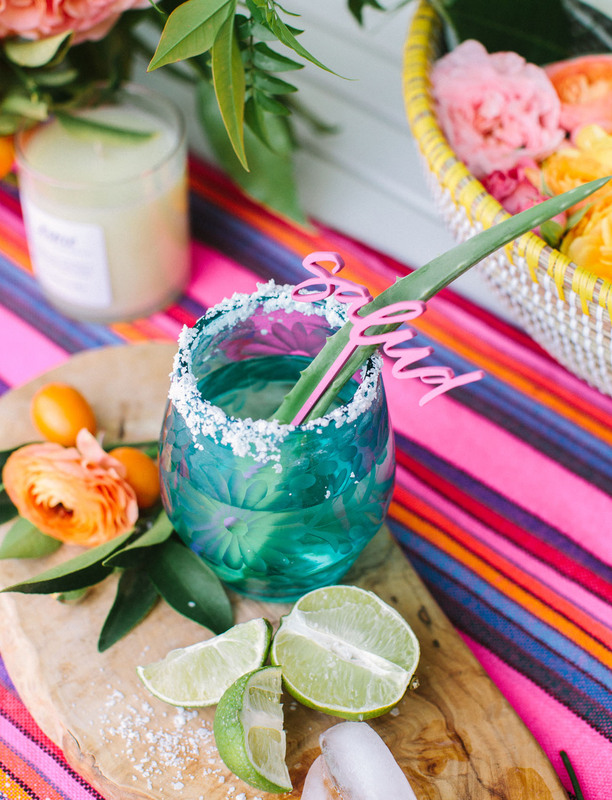 Their team shares, Now no fiesta can start without cocktails and food, are you with us?! 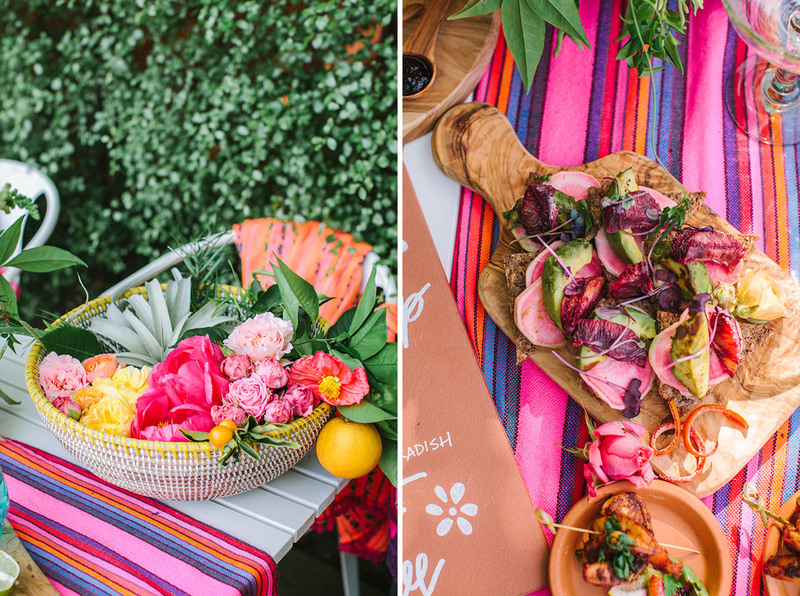 Our gal pal, Molly from Organicopa made the food just as pretty as the table! Food should look this pretty all the time. Of course, we can’t forgot cocktails! 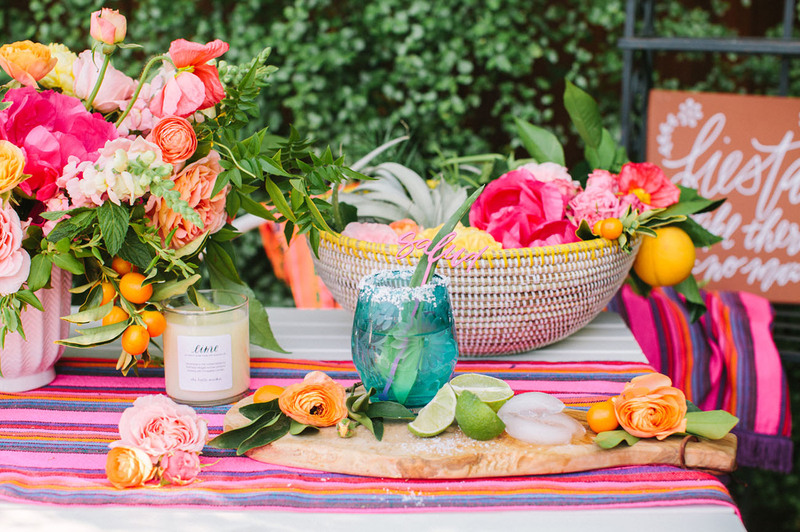 We are crushing hard on guava and aloe vera margs. 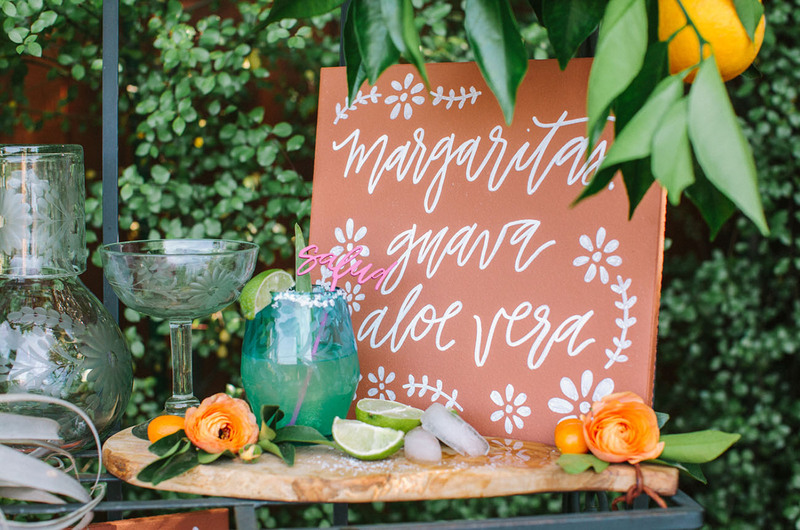 Yeah you heard it right, Aloe Vera Margaritas. Yummy! Thanks so much to Yasmin Sarai Photography for the stunning captures below! 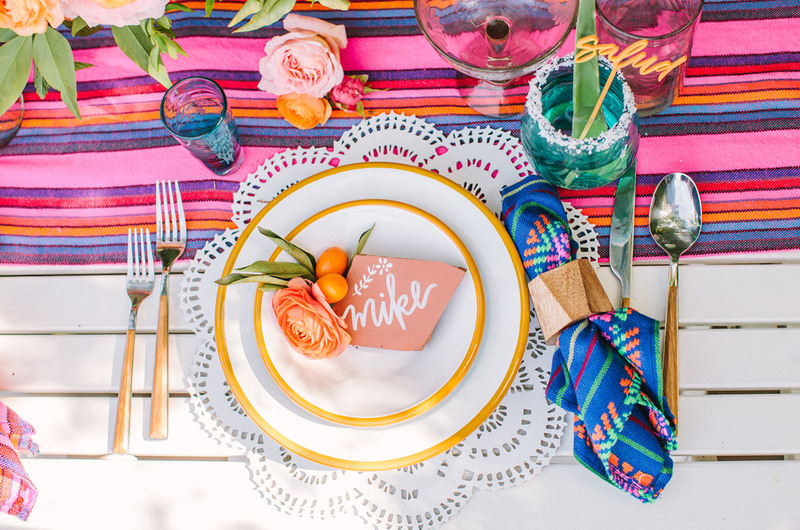 Siestas for Fiestas have great textiles that are perfect for this boho fiesta. 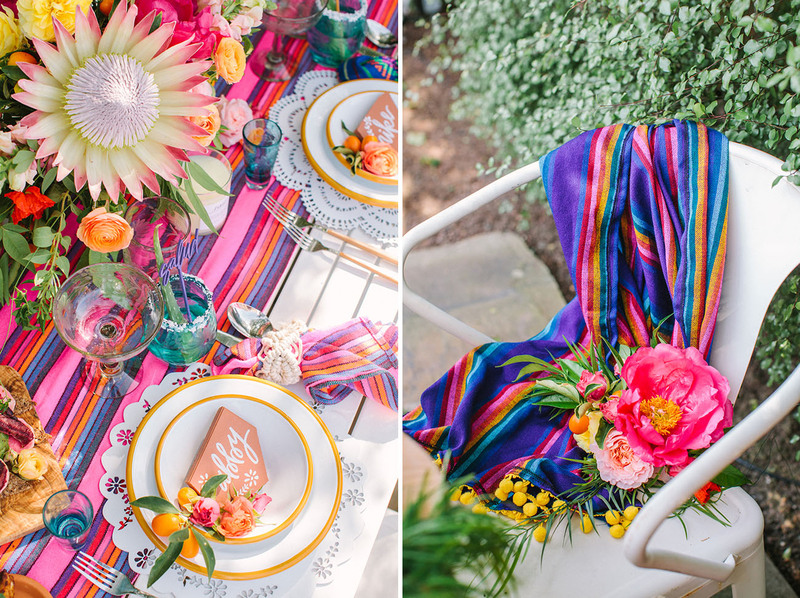 Bright colored blankets, table runner, and napkins were right at home. 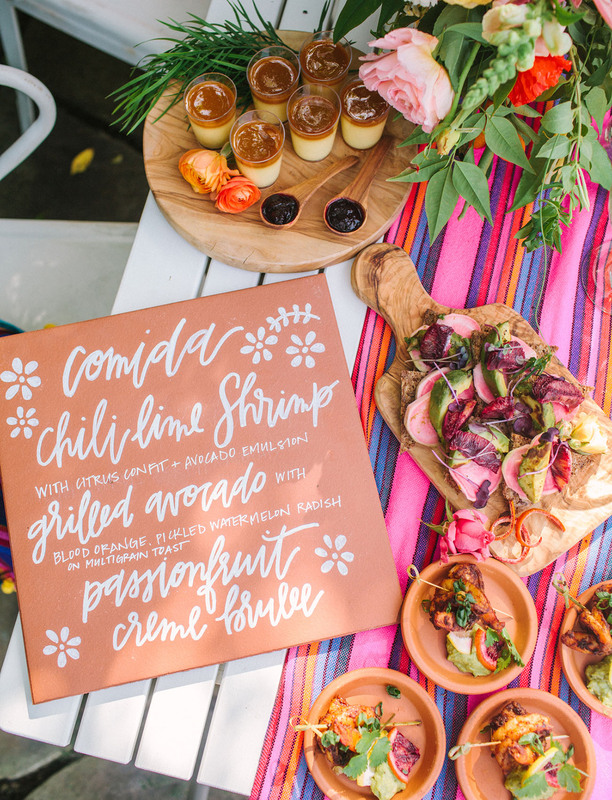 Accompanied by our favorite The Little Market glassware, and Commerce Fine Goods dinnerware you have yourself a perfect evening fiesta! Terra cotta is our new crush, and currently obsessed with using it any chance we can get. 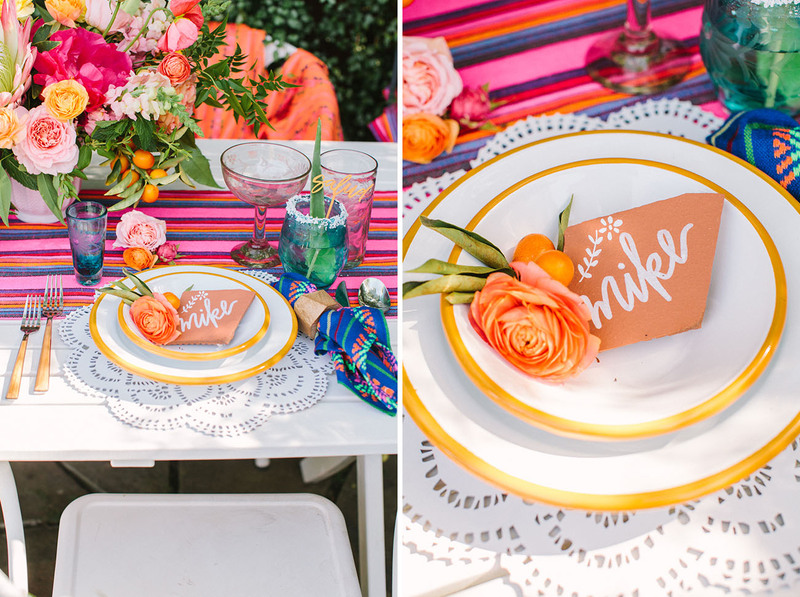 The combination of terra cotta and bright colors like yellows, oranges, and pinks is our jam lately. The talented Meghann Miniello, made our terra cotta dreams come true with her signage. Let’s not forget her die cut wooden white floral chargers, and salud cocktail stirrers. No cocktail should be without a cocktail stir, its like being naked. Shop this fun sioree in our guide below! So fun, right?! 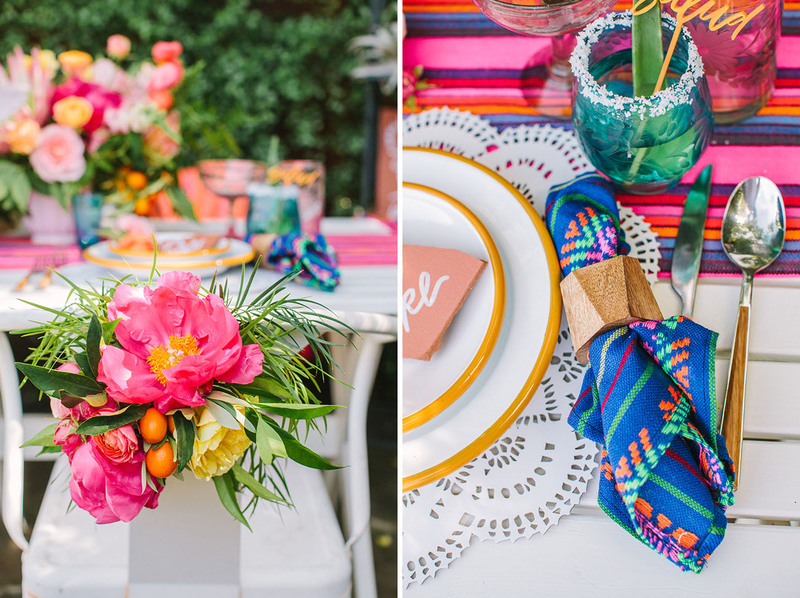 Are you inspired to throw a Cinco de Mayo bash tomorrow or, perhaps, incorporate some of these fun bright hues or gorgeous textiles into your wedding? Tell us in the comments section below! Wow what a refreshing wedding! Love it all!!! 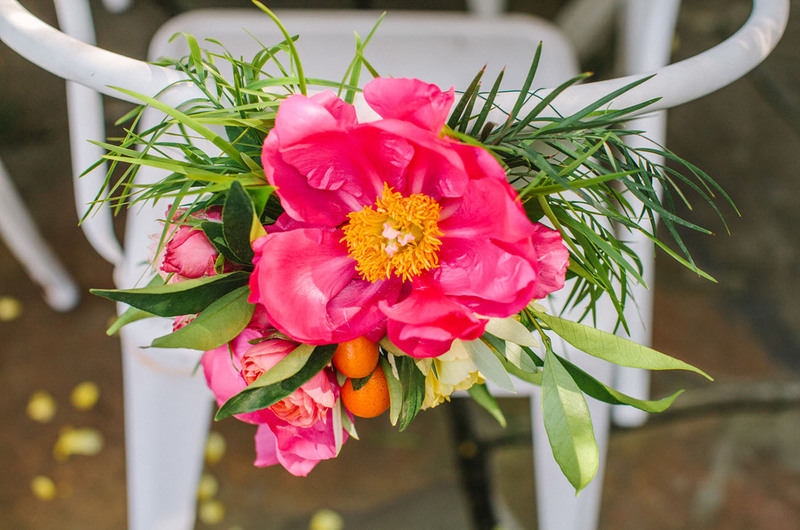 http://www.theweddingexpert.com had a lot of nice ideas too! I’m loving all of this! 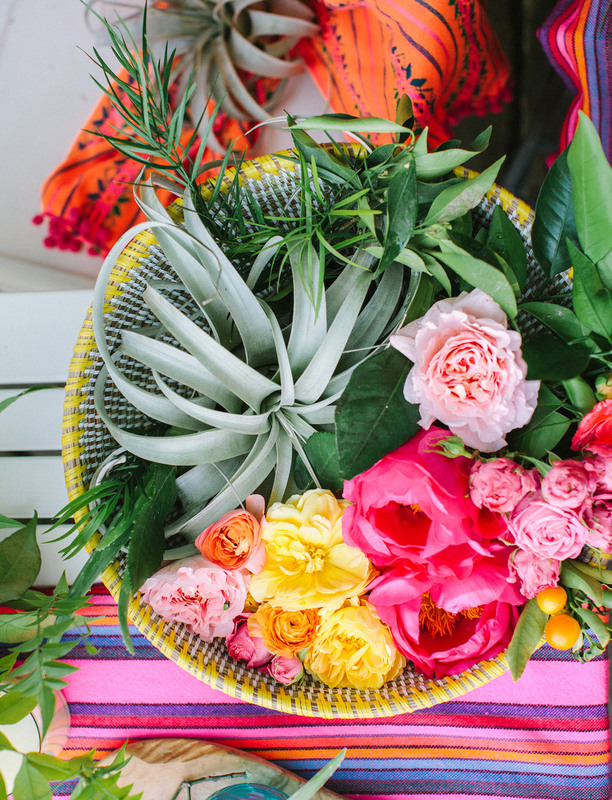 So bright, so colorful, and so fun!